The renowned Irish country music singer, Big Tom McBride, has died at the age of 81. 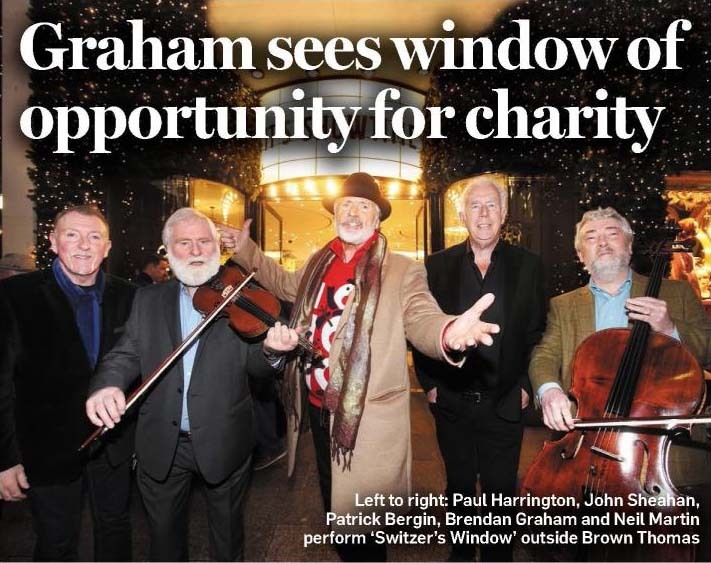 Mr McBride's career spanned more than five decades on the Irish country music scene. In a statement, his family said Mr McBride had "passed away peacefully". They said he would "be sadly missed by all who knew him". 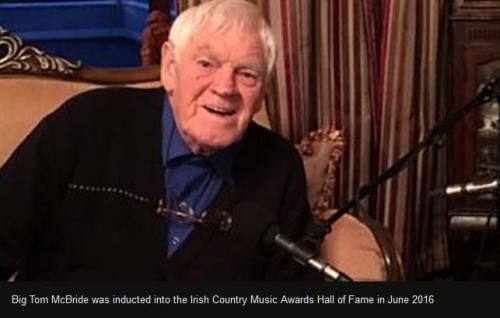 The County Monaghan man was inducted into the Irish Country Music Awards Hall of Fame in June 2016. 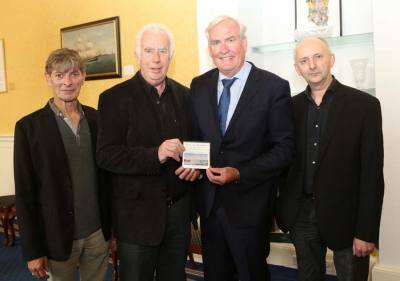 A newly composed Irish song, The Coast of Labrador, to mark this year’s CANADA 150, commemorating the 150th year of the Confederation of Canada, was launched by the Canadian Ambassador to Ireland, Kevin Vickers along with Mayor of Waterford District, John Hearne, on Wednesday, 14th June 2017 in Waterford City Hall. 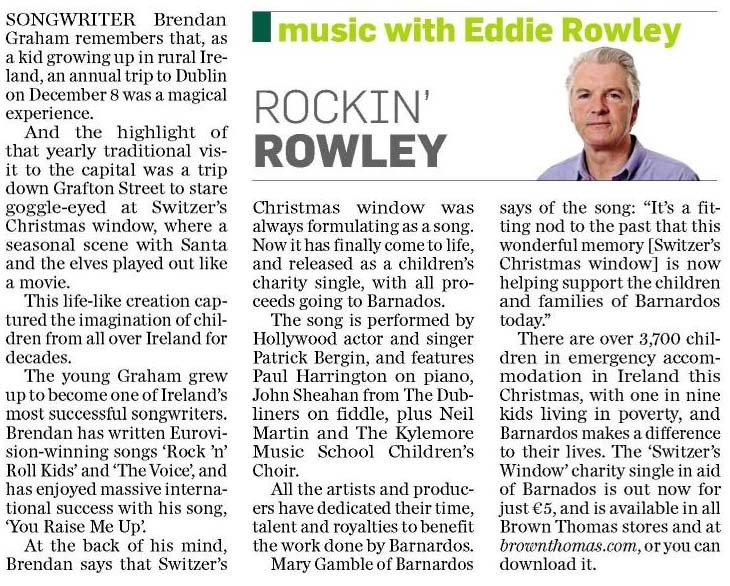 The Coast of Labrador is the work of internationally renowned songwriter, Brendan Graham, and Tipperary composer, Denis Carey. 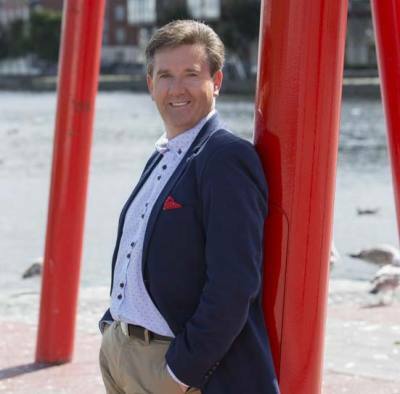 The song was given its premiere performance by Irish singer, Seán Keane at an event organised by Waterford Civic Trust, in association with Waterford City and County Council. The Coast of Labrador is set during the nineteenth-century, a period of extensive emigration to Labrador, Newfoundland and the eastern shores of Canada from the South East of Ireland. It tells the story of a young Waterford fisherman who emigrates to Labrador and finds a new life there with a local Inuit girl. He brings with him his sliotar and hurling stick and teaches his son to play ‘Hurling on Ice’, the forerunner to ‘Hockey on Ice’. Songwriter Graham describes The Coast of Labrador, as ‘a further acknowledgement of the great contribution of the peoples of the Déise area to the growth of their adopted country of Canada and the strong historical and cultural connections between the South East of Ireland, and Newfoundland and Labrador’. The Coast of Labrador performed by Seán Keane will be released and available on iTunes on July 10th, 2017. Click on the mp3 player below to listen to The Coast of Labrador.